Actor Jung Il Woo expressed his thoughts on the end of the drama. Jung Il Woo who played the role of Yang Myung in MBC’s The Moon that Embraces the Sun tweeted on March 12, 2012, “Finally the shooting ended. The Moon Embracing the Sun is fun until the very end, please stay tune. What’s a pity. Have no sense of reality at all. I love you all the supporting fans,” revealing his feeling of pity after the end of filming. 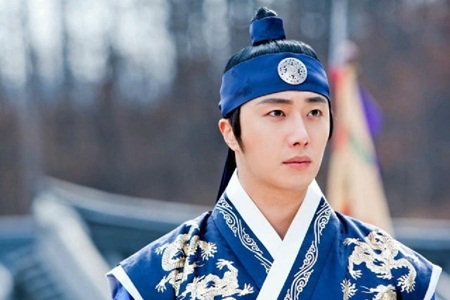 In this regard, netizens said, “Jung Il Woo in The Moon Embracing the Sun is great,” “The Moon that Embraces the Sun has ended, what a pity, during filming, Jung Il Woo was painstaking,” “Must go to buy DVD” and so on. Besides, the last two episodes of The Moon that Embraces the Sun that were postponed due to MBC union trade will be aired on March 14 and 15, 2012. The audience has been paying high attention to the finals.